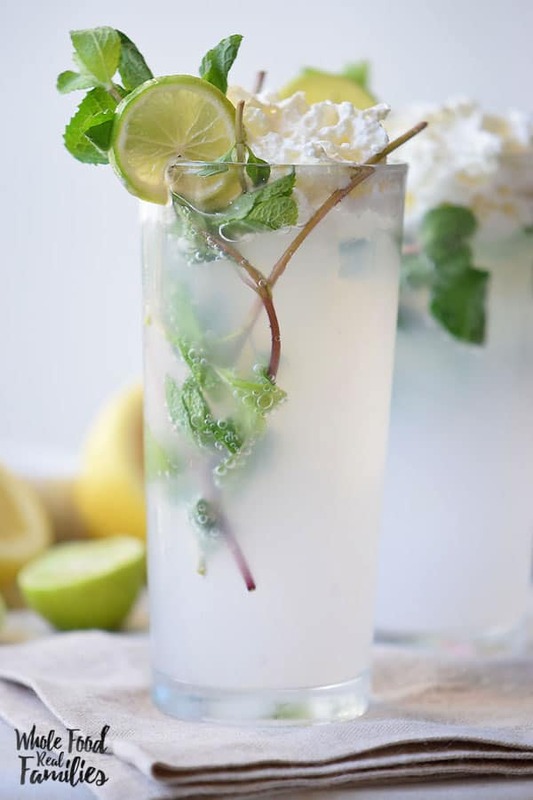 Make it a cocktail or a mocktail – any way you make it, this Mojito Float is an awesome way to cool off this summer! A little sweet, a little tart. A perfect drink for sitting in the shade while you fan yourself! The kids are back to school but we still have August to get through before summer is officially over. Down here in the coastal south, August is brutal! But I think we’re going to make it through all this heat thanks to this Mojito Float. My husband and I have permanently stationed our Adirondack chairs under the big tree in our front yard and we have been sneaking out there in the evenings to enjoy the sun while it is not so hot it hurts. We both love Mojitos so this Mojito Float has become a part of our evening excursion. 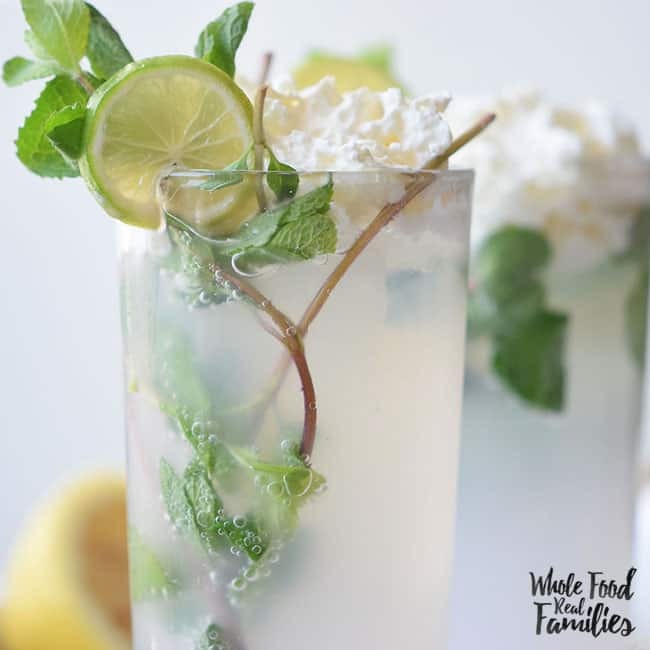 As much as we love a good Mojito – a little sweet, a little tart, made with real lime juice – we actually made this first as a fun drink for our kids (minus the jigger of rum, of course). They like to make coconut whipped cream – mostly scooping it out the can is fascinating, don’t ask me why. If you have never made coconut whipped cream, The Pioneer Woman has a great tutorial here. (I love her tutorials. She is so good at being funny while still giving very clear instructions!) Just make sure you buy the full fat can of coconut milk at the grocery store. I buy the organic version when it is on sale and keep a few cans around the house for whipped cream. 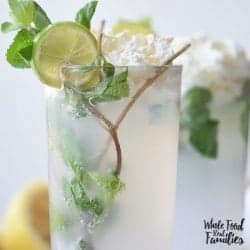 So make this a mocktail for your family to share. Or include white rum for the adults-only version. Generally, a mojito includes a jigger of rum per drink but flex that based on your preference. This will serve four, so don’t forget to invite the neighbors. I pretty much love anything with lime. 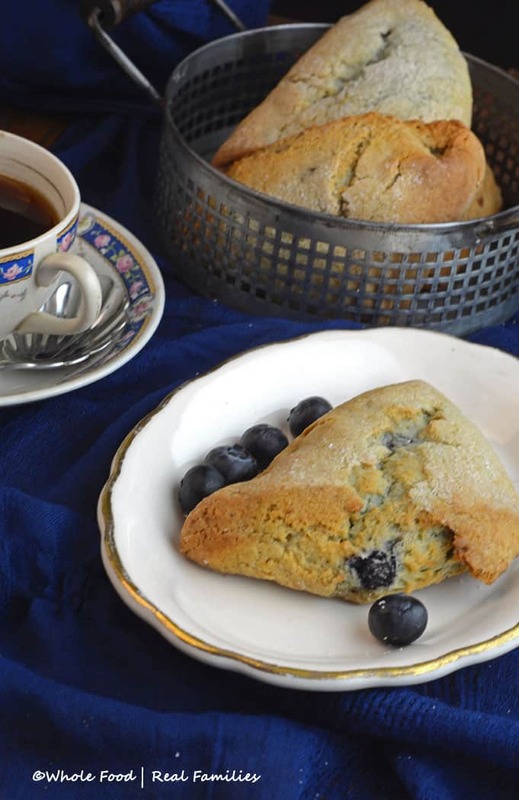 These Blueberry Lime Scones are so fabulous that I have to hide them if I actually want to get a chance to eat one. 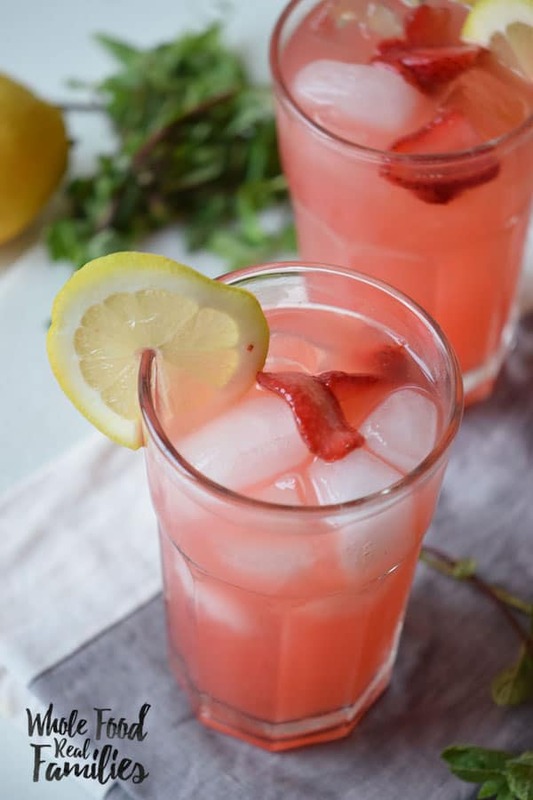 And if you are as hot as we are, you can cool off with this Berry Lemonade Cooler too! Add lime juice and shake. Pour in glasses, add soda and mix well. 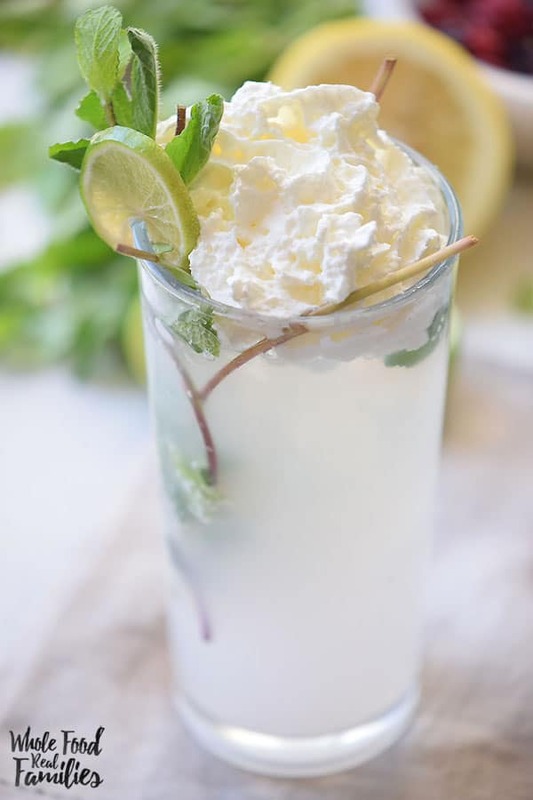 Top with whipped cream, mint sprigs, and a lime slice.